Town Street Arts is our way of rekindling the hand written word. Nothing says thank you more than taking the time to write "Thank You" using a beautiful piece of paper and expressing your gratitude is a bond that we all crave. And Town Street Arts seeks to make these bonds as strong as ever. Leave a note for your kids with what time you will be home on one of our list pads or be inspired by a quote that motivates you to do something you have not done fora long time. 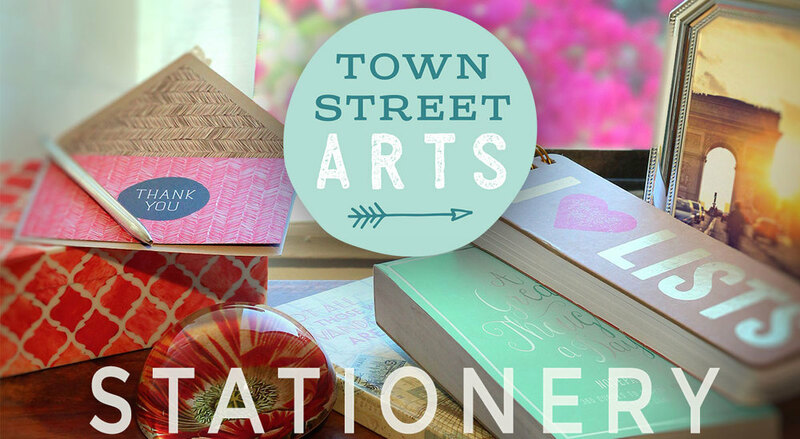 Through paper and ink, Town Street Arts' passion helps make the written word come alive!